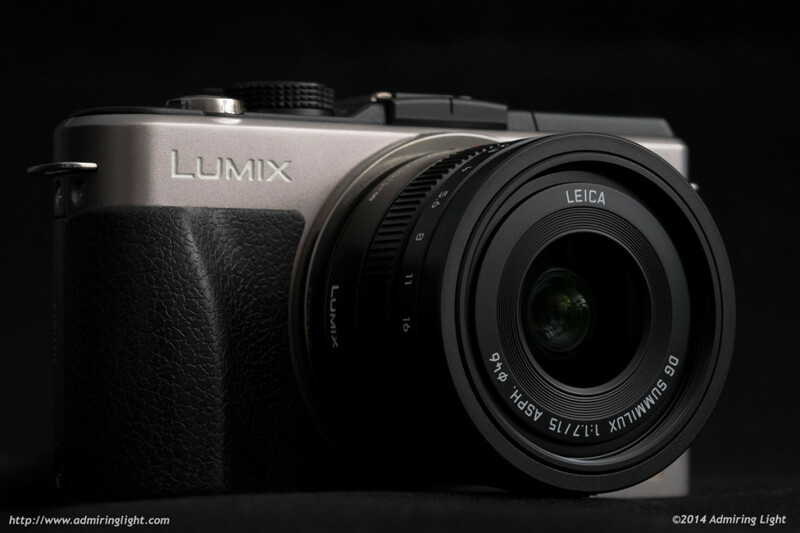 Panasonic and Leica have had a long partnership in the photographic industry, and one of the bright spots in that arrangement is the excellent prime lenses that the pair have produced for the Micro 4/3 system. The latest Panasonic Leica prime fills out the wide end of the range. The Panasonic Leica 15mm f/1.7 DG Summilux joins the 25mm f/1.4 Summilux, the 42.5mm f/1.2 Nocticron and the 45mm f/2.8 Macro-Elmarit among Leica branded Micro 4/3 lenses. 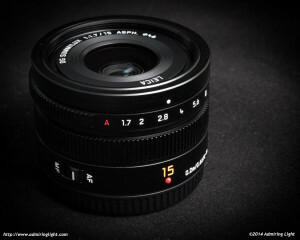 The 15mm f/1.7 is a wide-angle lens with a field of view equivalent to a 30mm lens on a full frame camera. Many have high hopes for this tiny lens, and in this 15mm f/1.7 review, we’ll see if those hopes are warranted. The Leica 15mm f/1.7 takes its exterior design cues from its older brother, the 42.5mm f/1.2 Nocticron (reviewed here), as well as more recent Leica M mount lenses. The result is a very attractive little lens, that would look right at home among the Leica M series. While the 15mm f/1.7 has an all-metal exterior and a similar design, it doesn’t have the same heft or sense of extreme quality that an M-mount Leica would have. The metal used is very thin, so you would be forgiven for thinking the lens barrel is plastic. I actually placed the lens in a cool area to be able to identify which parts were metal by touch, and was somewhat surprised to find it was entirely metal along the barrel, focus and aperture rings. However, that’s not to say the lens is poorly built. Despite the surprisingly light weight, the lens is quite solid and features smooth controls. Like the 42.5mm Nocticron, the 15mm Summilux is the second of the Panasonic Leica series to feature a dedicated aperture ring. The aperture ring features detents every 1/3 stop, plus a separate ‘A’ position, which essentially disables the aperture ring and moves control to the camera. Like it’s older brother, the aperture ring doesn’t make a ton of sense in the Micro 4/3 world. I’m a lover of aperture rings (it’s one of the reasons I enjoy the Fuji X series), but here it sort of feels tacked on. Part of the reason for that is the limited support in the Micro 4/3 system. The aperture ring only works on Panasonic bodies, reverting to a decorative accent when used on an Olympus camera. While the ring works well on a Panasonic camera I do wish the detents were more positive. It’s quite easy to accidentally change the aperture. The focus ring is small, but turns very smoothly and feels nice to use. The very small size of the lens makes it a perfect companion for any Micro 4/3 body, from the super small GM1 to the larger cameras like the Olympus E-M1 or Panasonic GH4. It really is a joy to have on the camera, while not as small as some of the Micro 4/3 pancake lenses, it is definitley small enough to make for a jacket-pocketable combo in conjunction with smaller bodies. 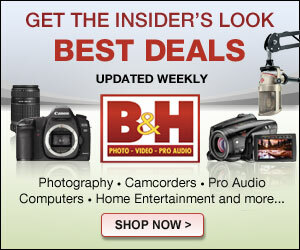 While the lens includes a round bayonet mount hood when purchased, I did not have the hood during my evaluation period. A front decorative ring comes off to reveal the hood mounting flanges. The 15mm f/1.7 features a virtually silent and extremely fast autofocus motor. Autofocus acquisition is nearly instantaneous, and accuracy was top-notch in all situations. Even in dim light, focus speeds remained on a high level. One great thing about the 15mm Summilux is the close focusing ability. The lens can focus down to about 7″, allowing for great closeup work with a wide angle (though falling short of macro). This can let you get some very interesting perspectives with the lens.